15 for 15 challenge- The young and the confused. Again I’m starting a blog post with Duru business. Around this time last year I met Duru- The young and confused blogger. This 23 year old confused blogger has been blogging consistently for two years, his blog is fabulous and he recently launched a clothing line (Nonso you need to come and pay homage sef). The first post I read on his blog inspired this post and since then, he’s become my otunne. I don’t like labels, they are restrictive and never tell the full story. Trust me I know a lot about labels, six years in pharmacy school ensured that I made hundreds of them and answered countless questions about them. For this reason I have never referred to myself as a feminist or even thought of myself with the feminist tag, that all changed two days ago. Most Nigerians would understand my title, it would make perfect sense. In plain English- I’m lamenting my failure to write today. I’ve never been the most serious writer in the world, I’m not even the one millionth but I haven’t been writing as much as I should, as much as I could? 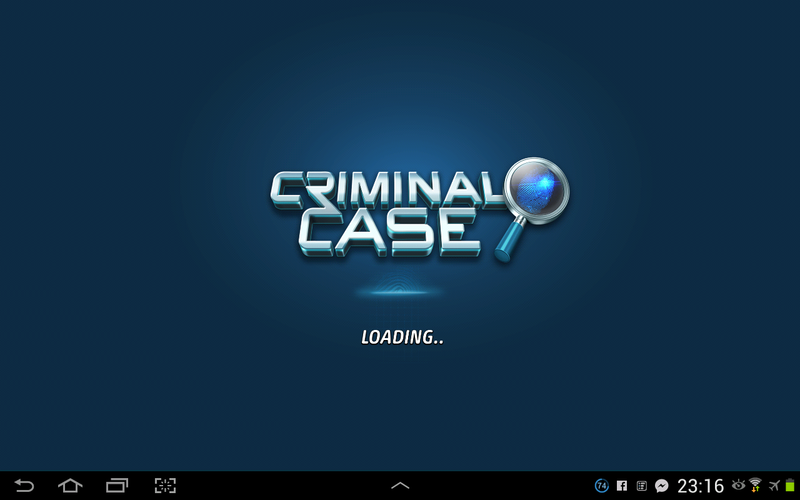 The reason for this is a little game called Criminal case that frustrates and enthralls me. I don’t like playing games because I can get addicted to them, especially when it’s not a racing or violent game. I used to play jewellery and bricks for hours at a point in my life. I’d been noticing a game on facebook, some of my friends were updating their stats and results via the game. It wasn’t until I saw my brother’s orange juice post that my interest in the game started and I downloaded it yesterday and it has occupied my mind, brain and body. I have a backlog of writing but I don’t even care… I just wanna play my game and listen to Amy Winehouse’s “Rehab”. I’m still eating though and going out (went to see my godson today), all hope isn’t lost yet. His post made me realise that I forgot to ask my own question. Ugo my question is- How much do you think your blog is worth? Now that I’ve written this post, I guess I can write the rest.. yes? Yesterday I talked about getting my lyrics mojo back… I think I have. Yesterday evening, the song I’m putting up was laid in in my heart. That song and Psalm 63 were in impinged on my spirit and with them, I worshipped! I’m sharing it here today and I hope it blesses y’all as well. I can’t dance in real life, I can’t move my body rhythmically. If you wanna laugh really hard… ask me to dance or draw. Anyway I’m dancing in my mind and as usual, I’m fabulous. I got nominated for the Versatile blogger award by Tessa this is the first time I’ve been nominated here and it’s exciting. The first time I saw a vulture, I was ten years old. We were in Jebba and it was a peaceful morning, We’d been travelling all night, our bus had broken down several times since we left Lagos at 9pm. We should have gotten to Bida at 5am but we watched the sunrise at Jebba as we waited for the vulcanizers to open.